Boston is still riding the high of the 2018 World Series win by the Boston Red Sox - and that means that this winter will be hotter than ever for the fans of the city. Get swept away by Boston's passionate fans and feel the thrill of victory for yourself. Whether you want to witness a game in person or watch the show in a bar, when it comes to sports - there's no place on earth like Boston. 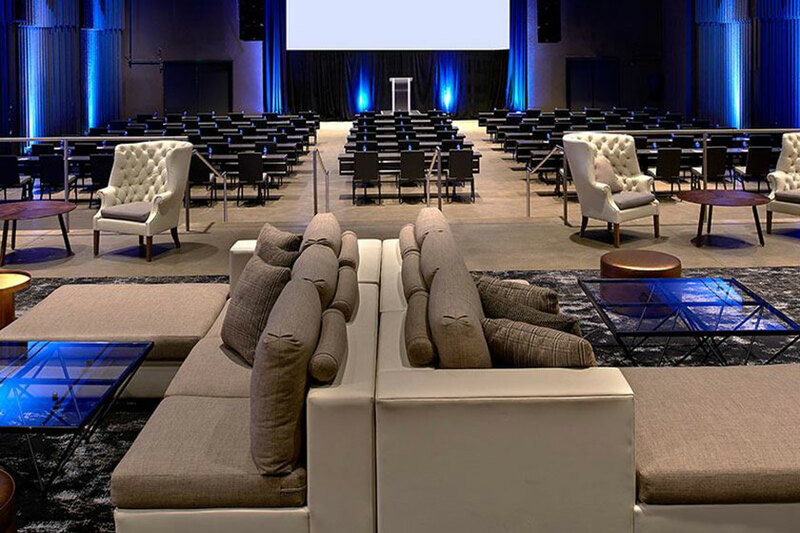 Stay at Revere Hotel and put yourself in the middle of the excitement. Grab a comfy seat, order a cold beer, and settle in to watch the game in one of Boston's lively sports bars. Our hotel is in the perfect location for exploring Boston's fan culture, and you'll find numerous sports bars nearby - many within walking distance. Need help deciding? Our front desk staff is always ready to help with a customized suggestion for you. Try these sports bars on for size, and get there early to snag the best seats. Beantown Pub - Hearty Boston pub grub and New England cuisine (100 Tremont St). The Fours - Huge menu and two floors packed with sports memorabilia right by TD Garden (166 Canal St, Boston). SideBar - Classic American comfort food like pizza and burgers plus arcade games in a tavern setting (14 Bromfield St). Rebel's Guild - Cozy up to the bar and enjoy provocative pub fare and pioneering spirits at this rebellious hangout (200 Stuart St). Finn McCool's Boston Sports Bar - Quick beers and good cocktails with bar games in a laid-back environment (200 High St). Warehouse Bar & Grill - Upscale sports lounge with gastropub cuisine (40 Broad St). McGreevy's Boston - Irish pub and sports bar mainstay with a cool baseball museum (911 Boylston St). Champions - Tons of TVs in a stylish, modern sports bar and grill at Copley Place (110 Huntington Ave). Cathedral Station - Gay sports bar in the South End with great outdoor patio, darts, a pool table, and a casual vibe (1222 Washington St). Lobby Bar - Stop by our chilled-out Lobby Bar to catch up on the game while you sip a local craft beer or artisan cocktail (200 Stuart St). With one of the youngest teams in the league, the Boston Celtics have a shot at winning the 2019 NBA Championship - perhaps not the greatest odds, but a shot nonetheless. The Celtics were one of the original eight teams in the National Basketball League when it formed in 1946. They're a member of the NBA's Eastern Conference Atlantic Division and play games at TD Garden, located 1.3 miles from our hotel (which they share with the Boston Bruins NHL team). The team's name and their mascot "Lucky the Leprechaun" are both a nod to Boston's rich Irish heritage and history. For this season, expect their longstanding rivalry with the Los Angeles Lakers to really heat up - after all, the Boston Red Sox just blew away the Los Angeles Dodgers in baseball's World Series. Preseason expectations for the team were very high - let's see if the Celtics can live up to the hype. America's oldest hockey team hits the ice at TD Garden every winter, initiating new fans into the wild-eyed frenzy that is professional NHL hockey. Members of the Atlantic Division of the Eastern Conference, the Bruins have won six Stanley Cup championships. On November 10, they'll face off against their Atlantic Division rival Toronto Maple Leafs before facing the Western Conference Champion Vegas Golden Knights on November 11 - two games that you might want to catch. If you've never been to a professional hockey game, a match with the Boston Bruins is the perfect place to start. 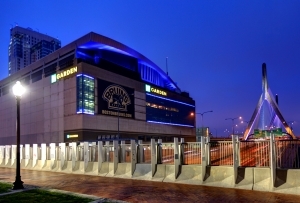 TD Garden is just 1.3 miles from Revere Hotel. On a five-game winning streak at the time of writing, the New England Patriots dominate the National Football League's American Football Conference (AFC) East division. They've won nine straight division titles from 2009 to 2017, and are tied with the Dallas Cowboys for the second most Super Bowl wins ever at five (only the Steelers have more with six). After losing to the Philadelphia Eagles in the 2018 Super Bowl, the Patriots are back and ready for vengeance this season. Expect quarterback Tom Brady to continue his masterful ability to accumulate passing yards as one of the best players in the history of the game. The New England Patriots play at Gillette Stadium, located in Foxborough, Massachusetts about 21 miles from our Boston hotel. Bostonians have two NCAA Division I college football teams to cheer for: Harvard Crimson football and the Boston College Eagles. Harvard University has one of the oldest football programs in the world, which started in 1873. They've also had a string of championship wins with a legacy that's one of the best in the country. Their biggest game of the season is no doubt their rivalry match with Yale on November 17, which will take place at Boston's Fenway Park (1.7 miles from our hotel). For other games, Harvard Crimson's home football games take place at Harvard Stadium in Boston's Allston neighborhood (4.5 miles from our hotel). The Boston College Eagles play nearby at Alumni Stadium in Chestnut Hill (5.6 miles from our hotel). Many Bostonians also cheer for the NCAA Division I Minutemen team from the University of Massachusetts-Amherst, as many city dwellers previously attended this nearby school. Whether you're catching a game at Harvard Stadium, TD Garden, or Gillette Stadium, it's easy to reach your destination from our downtown hotel. We're located two blocks from Boston Common in the heart of the city - and we offer an unparalleled travel experience that you won't find anywhere else. Rooms and suite feature flat-screen TVs, iPod docks, and private balconies with city views. Enjoy locally sourced gastropub cuisine at Rebel's and chill cocktails at the Lobby Bar. 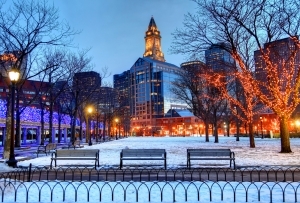 Plan the ultimate sports fan getaway this winter in Boston and make the city yours!